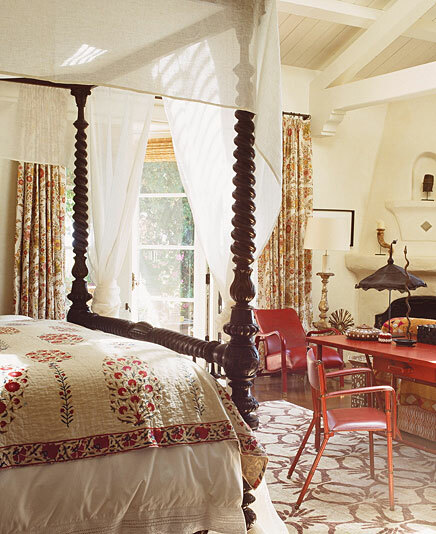 Earlier this week I instagram-ed about this room from Previous issues of Architectural Digest . 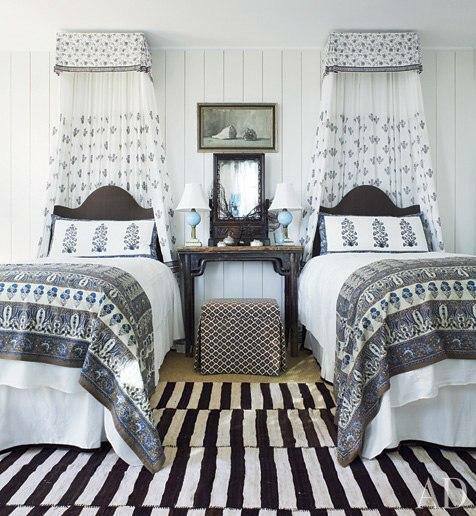 It is an originally 1940's beachfront retreat by designer Amelia Handegan . I love it for its simplicity and sophistication plus the flavour of tradition and far off places. 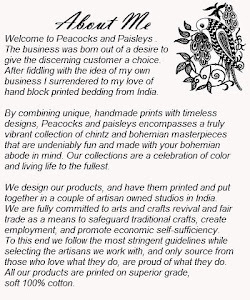 Another one here is from Kathryn M. Ireland , her style is bohemian chic with an effortless style .An Indian Quilt or throw can make all the difference. Saw this beautiful room here .It is a flat in Paris owned by Mariu de Andreis of ZFF Children's clothing line featured in Cookie Magazine.Love the traditional Indian embroidery and pale pink quilt ...just the room for a girl who wants to explore.